This great nation of ours boasts an array of very specific and very delicious types of barbecue. But there are four iconic styles that reign supreme: Carolina, Memphis, Kansas City and Texas. Before the summer is over, take the time to try out each unique style with these excellent recipes. 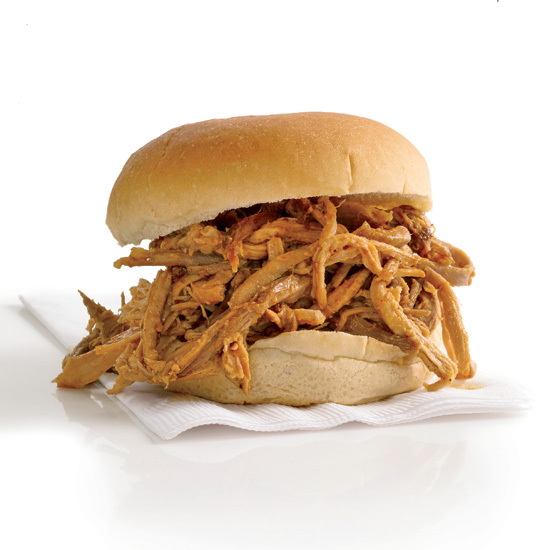 There are multiple styles of barbecue within North and South Carolina, but they all have this in common: pulled pork. Traditional Carolina barbecue begins with a whole hog smoked over coals. For easier at-home cooking, cook pork shoulder for 12 hours in a 275 degree oven before smoking it for about one hour in a backyard grill. This tangy vinegar-based sauce combines the roasting juices from pulled pork with white wine vinegar, cider vinegar, dark brown sugar and sweet smoked paprika. This take on the classic barbecue sauce simply adds some ketchup to the above recipe for Eastern Carolina–style sauce. Slow-cooked wet ribs and dry ribs and chopped pork sandwiches are the signature dishes in Memphis. These baby back ribs are rubbed with an easy-to-make spice mix, then grilled until the meat is nearly falling off the bones. In Kansas City, barbecue means a variety of dry-rubbed meats served with a sweet, tomato-based barbecue sauce on the side. Paul Kirk, a native of Kansas City, Kansas, jokes that this sauce reflects the style of his hometown “because I said so.” But it also has the characteristic tomato base of KC’s classic sauces. Much like the Carolinas, Texas also boasts multiple regional barbecue styles. But the most well-known is the west Texas cowboy-style, in which the meat is cooked directly over heat from a wood fire. This juicy, tender brisket gets most of its flavor from being smoked over hardwood, along with a simple seasoning of salt and pepper and a garlicky mop. Dean Fearing’s sauce is tangy, sticky and sweet. It’s perfect with barbecued chicken.